The sister of Napoleon Bonaparte, Pauline knows that her sole purpose has always been to make an advantageous marriage to further her ambitious brother's goals. But her joie de vivre cannot be contained—much to the dismay of her new husband, Prince Camillo Borghese. Pauline and Camillo's relationship is tempestuous at best, with Pauline constantly seeking the attention of other men—especially after a heartbreaking loss leaves her devastated, desperate for attention, and searching for answers. Yet despite everything, the love that brought Pauline and Camillo together, as imperfect as it might be, can never truly be stifled. MY REVIEW: When author Lorenzo Borghese visited The Galleria Borghese in Italy, a home that belonged to his family until the early 1900s, he was drawn to a marble statue of his ancestor Princess Pauline Borghese and inspired to tell the unique story of her life. 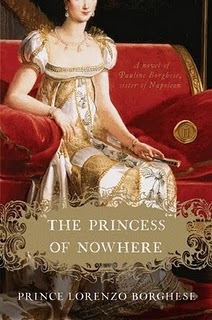 Told from the view point of Sophie, the princesses’ long time companion and lady-in-waiting, the marriage of Pauline Bonaparte and Prince Camillo Borghese is explored in the pages of The Princess of Nowhere . 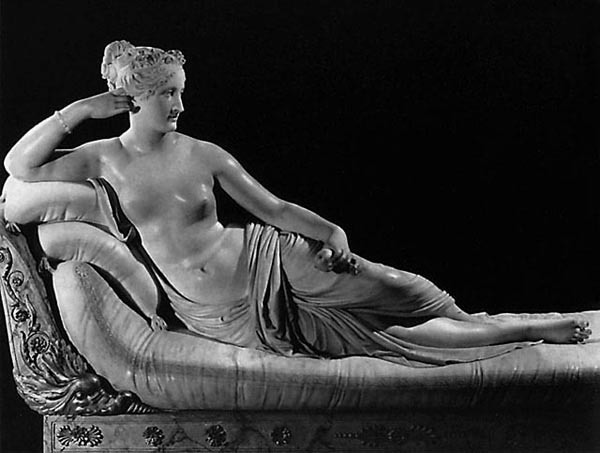 Pauline was charming, charismatic and one of the most wealthy and beautiful women of her time. She was also flirtatious, unconventional, and had a scandalous reputation. She and Camillo were attracted to each other at first sight. Though Camillo had reservations about marrying Pauline because of the rumors surrounding her, he soon became too enamored to care and they married soon after meeting, despite her brother Napoleon’s objections. Passionate and tumultuous, their union was a roller coaster of ups and downs. But through all the drama, fighting and betrayals, their love for each other stood the test of time. A moving tale of love and forgiveness, I found The Princess of Nowhere to be a very enjoyable read and definitely recommend it. To learn more, please visit the book's official WEBSITE. FTC DISCLOSURE: I received this book for review from the publisher in return for a fair and honest review. This sounds so interesting. As his sister she would have been a focal point in political life as well. Sounds very interesting! I have a book written from POV of Bonaparte's wife (Takes of Passion Tales of Woe). I love to find books that are about characters who are less familiar; it is like opening up a whole new world you can become lost in. Glad you enjoyed the book! I'm reading this now. I'm about halfway through and I really like it so far. Thanks for the review and for stopping by my Mailbox! This one looks great, Amy! The other members of the Bonaparte family are overshadowed by Napoleon. It will be interesting to find out more about this "wild child" of the family.